Ex-Vinnie Vincent Invasion frontman Robert Fleischman has announced that he will be doing a solo album in 2016 that will feature a number of prominent guest musicians including Lita Ford, Quiet Riot‘s Frankie Banali and the legendary Buddy Rich. Other guest musicians to be announced include Lynch Mob and ex-Dokken guitarist George Lynch. “Robert Fleischman was born in Los Angeles, raised in Torrance California, and has enjoyed tremendous success as a vocalist, songwriter and performer during his career. Robert exploded onto the booming California music scene in the late 1970’s when he joined a San Francisco band, looking to make the transformation from rock-fusion to a more radio friendly, commercial rock sound. This band, Journey, would go on to become one of the most successful rock bands in the history of music. Robert, the original lead vocalist, wrote and performed with Journey for just under a year. Due to a conflict of interest with management, vocalist Steve Perry was hired; continuing the sound that Fleischman was instrumental in helping the band establish. 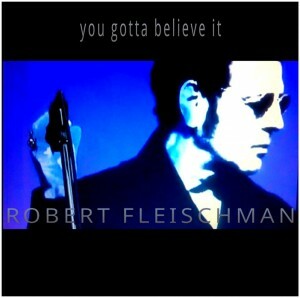 With the triple platinum success of Journey’s Infinity album on which Robert’s songs are prominently featured, the name Robert Fleischman had quickly become synonymous with hit songwriting. His most noteworthy contributions to the band were, “Wheel in the Sky”, “Anytime”, and “Winds of March”. In January of 2005 when Journey received a star on the Hollywood Walk of Fame, they insisted on including Robert in the honor. Later, Robert signed a deal with Arista Records and recorded his first solo album with Jimmy Iovine, Perfect Stranger (1979), which included former Journey band mate Neal Schon. A successful solo tour would follow the release of the album, including shows with Van Halen, Eddie Money, Boston and Sammy Hagar. In the early 1980’s, Robert formed the melodic rock band, Channel. The band was signed to Epic Records and they released their self-titled debut in 1984 to great critical success. Channel, however, was short lived because of a new opportunity that would soon be calling for Robert. 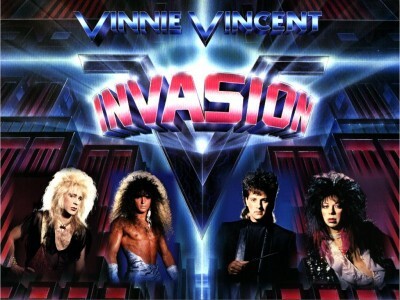 Robert next joined Vinnie Vincent, of KISS, and fellow band members Bobby Rock and Dana Strum to record Vinnie Vincent Invasion (Chrysalis) in 1986. The record featured Robert’s piercing vocals and Vincent’s wicked guitar playing and included the hit single “Boyz Are Gonna Rock”.